← Do People in Midlife Crisis Twist the Situation and the Blame? I am struggling with the limited/non-communication rule. How do you set such boundaries when you live with your MLC? How can No Contact work when you see him every day at home? Where did you hear there was a rule about limited contact? No Contact is the only limited contact level that is considered a rule—because it is a boundary. But there is not a rule that you have-to apply that boundary and it is not possible with an MLCer who lives at home. When you have an At-Home MLCer Dim or Dark are your options. I’ve said it so many times that I feel like a broken record: I am not an advocate of No Contact in early MLC. Don’t get me wrong; I used it, but only under certain conditions and with great consideration before applying it. And it was for a specified amount of time; there was a beginning and an en-time which were communicated to my MLCer. 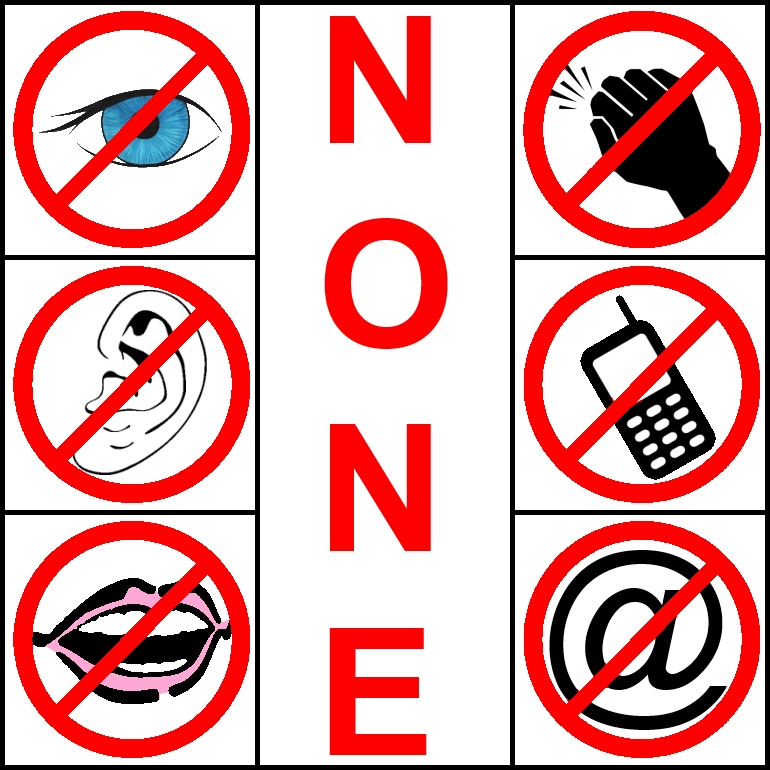 I’m concerned that some newcomers are receiving advice or misunderstanding advice about No Contact and they are being told (or think they are being told) to apply No Contact right away and that it is one of the tools that is a must-use. Um, no and it is especially not recommended for newcomers whose Bomb Drop was recent; often it’s not even possible. Those of us who have gone through the storm and come out the other side want so badly to tell you the tricks we learned so that maybe you can avoid some of the pitfalls, but telling isn’t showing; it’s not experiential and unfortunately this is something you learn as you go and as you do. We can help you by alerting you to what might (or might not) be ahead, but we can’t detach and recover for you. No Contact is an advanced Tool that many of us have learned to apply and found useful, but it is best used later in the crisis when you have caught your breath—even though you may still feel wobbly. That does not mean No Contact should never be applied in the early days or weeks of the crisis, but often the application is different and limited. Since I have written about this in other posts and articles, I will copy some relevant pieces from those other articles. I’m not an advocate of strict No Contact in early MLC because it can be a fertile time for Paving the Way. MLCers disconnect gradually. Use this time to begin laying a foundation for a future return, because MLC gets worse and contact and communication may decrease, along with your opportunities for direct contact and communication to Pave the Way. In later MLC, when cake-eating may become a problem, I encourage No Contact. Manuscript Revision of No Contact article. …in early MLC; you can have no contact without the rule against contact and that keeps a path open for communication which at the early stage is important for Paving the Way. When there is a rule, an early and cycling MLCer may be afraid to contact their spouse for a connecting Touch-n-Goes and Reconnection because No Contact is often associated with anger, disgust and giving up. Love AnyWay Blog Post, No Contact: Clearing Up the Confusion. No Contact has multiple motivations which may or may not overlap. Ending the relationship: You aren’t Standing and are pursuing the divorce. This isn’t a No Contact used as a Standing tactic but part of your new life. When Dark isn’t sufficient for your detachment, growth and healing. Removing the toxicity from your life; separation from the emotional cycling: This can help with detachment. Used by Standers and those who aren’t Standing. Boundary Rule: consequences for choosing to have a relationship with someone else, Monstering, choosing to no longer have a marital relationship, other abuses. If you choose to have a relationship with her, you are thereby choosing to not have a relationship with me; it is your choice. #2b is beneficial when your MLCer won’t stop bothering you—you might feel like Velcro as I did—and you need a break to detach and progress. This is often a boundary with a specified end. Both 2a and 2b may be the purpose either early or later in the crisis. But early in the crisis, this Tool often has a time limit. I used these together 3-4 months after Bomb Drop at the recommendation of my mentor who said to do it for 3 weeks—she was very specific about there being a time limitation and that limitation was communicated to Chuck—my MLCer. #3 is an advanced application of the Tool, MLCers in Escape & Avoid (especially Replayers) are unlikely to use it for positive or progressive purposes. #4 often works in concert with #3. Chuck moved in and out of our home multiple times and each time he left he lived with the alienator. His living with the alienator clearly fits the Boundary-Rule application of the Tool, but it also allowed him space from me during which he could miss me as he compared me with the alienator and stewed in his guilt. I often failed miserably at No Contact early in the crisis. Later my application of No Contact became stronger; by that time the alienator’s mask had slipped and though he continued with his affair, he knew which of us he wanted. Being with her reminded him of what she was not. There are circumstances where No Contact is the healthiest option—even in early MLC. Often in the first months after Bomb Drop, when your MLCer has moved out, physical or electronic contact can erode your strength. You can become stronger the longer the two of you have No Contact. As you gain and then stabilize your strength, you’re rebuilding resistance and contact limitations may not need to be so severe. But this can take a few years when you don’t maintain the No Contact for a significant enough length of time. It may seem to you that your anxiety increases as you have less contact, but this is because you don’t maintain No Contact through your withdrawal anxiety; like an addict in the first hours of withdrawal, you breakdown and contact your MLCer directly or indirectly by initiating or answering contact. The longer you resist going No Contact, or continue to break it before overcoming your initial withdrawal anxiety, the longer it will take for you to get through it and progress. No Contact is not possible with an At-Home MLCer and almost impossible with a Clinging Boomerang. You can only control your part—how you respond, but often your MLCer will find ways to maintain contact and it is your job to manage the situation you have rather than the situation you wish you had. I said that No Contact is not a must-use Tool. What is a must-use Tool? Maybe there are others, but the only one I can think of is Releasing—Detachment-Let-Go-Surrender. I don’t specify it only as Detachment because that is the first level. The other Tools in your Standing Toolbox are for Doing What Works. If No Contact works for you in the beginning, then use it! What does it mean for something to be working? Does it mean your MLCer immediately changes their mind or behavior? No, though wouldn’t that be nice. What works might be how you are feeling and progressing; it might be how your MLCer and/or your relationship is progressing. But the challenge of measuring what works by your MLCer’s progress is that you may misread. MLC takes Time and often what works appears to backfire at first or at least do nothing. Learn the signs of what is working in certain situations. For example, if your MLCer is Monstering and you keep your cool and respond rather than react and set and maintain firm boundaries, they may escalate their Monstering. Uh-Oh, is that fail? No, it often means what you are doing is working, you are getting to them and they are in reactive mode. MLC gets worse before it gets better, so what works in measurements of your marriage needs to be measured in years. What works in terms of your personal progress hopefully has a shorter time-span.